But musically this could be classed as a collaboration between DJ Freelance Hellraiser and the music of McCartney. This U.K. release was manufactured to order only and shipped out on 13th June 2005, BUT, was not allowed to be sold until the following day. 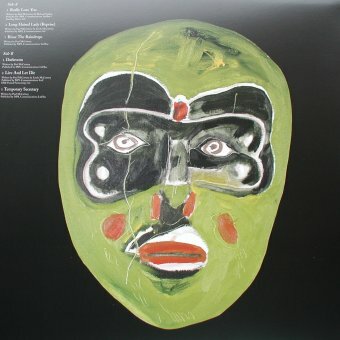 Once initial orders of this album are sold out, E.M.I. have (allegedly) confirmed that no more will be pressed ! This double vinyl LP set has been issued by Parlophone/EMI on VINYL ONLY and is the debut album featuring the studio wizardry of London based DJ and Producer The Freelance Hellraiser AKA Roy Kerry, best known for his unforgettable mash-up the 2002 bootleg ‘A Stroke Of Genius’. In the Summer of 2004 Roy Kerry toured Europe with Paul McCartney, opening each show with a 25 minute set of re-mixed McCartney tracks, which culminated in the famous headline performance at Glastonbury. "Those of you who were there for the European Tour will have heard our DJ, Freelance Hellraiser, cooking up some mixes before we came on and people have been enquiring about these mixes ever since. Well the good news is he’s put together an album called ‘Twin Freaks’ using fragments from my original multi-tracks which we hope will rock your little cotton socks!" 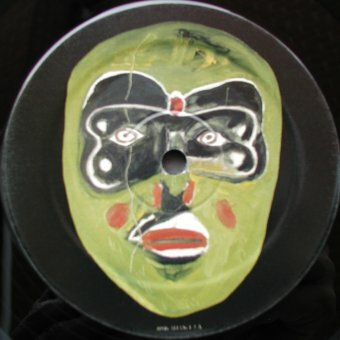 The official heavyweight double vinyl L.P. Set contains twelve re-mixed McCartney tracks all re-mixed in a totally unique dance style. Both albums have Twin Freak record labels and the 2 LP set is protected by soft polythene lined inner bags and housed in a gatefold sleeve. 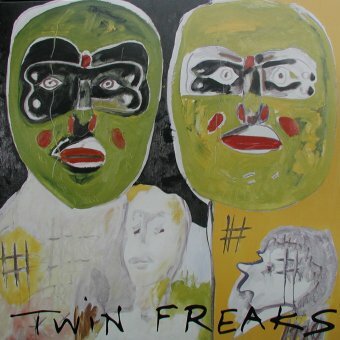 The cover features Paul's own art entitled ‘Twin Freaks’. The subject Twin Freaks was painted by Paul a few years ago, and is featured on Page 69 of his book entitled ‘Paintings’. 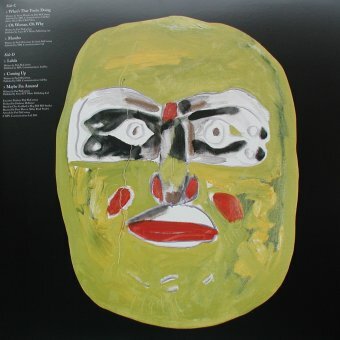 One week before the album release it was preceded by a limited edition 12" release of two tracks from this set, Really Love Love b/w Lalula on Graze Records (GRAZE 012). 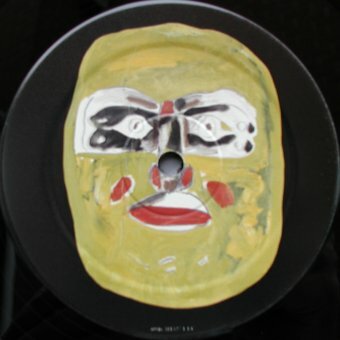 The pressing run for this was just 2,500 copies, with both tracks on side 1. Side 2 was etched. 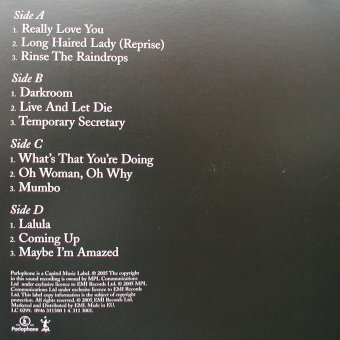 Issued prior to the official 12" was a ONE-TRACK single-sided 12" containing just "Really Love You". 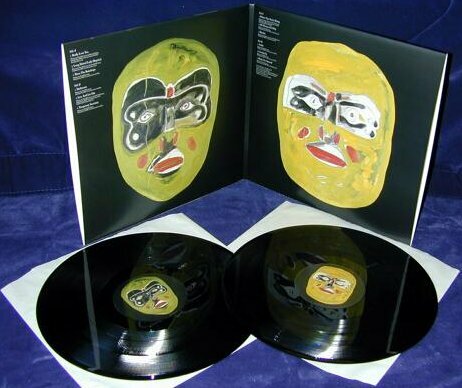 This was limited to just 500 copies worldwide and had a catalogue number of GRAZE 010. Some of the samples listed in the tracklisting below were spotted by JPGR correspondent Herve Marchetti.